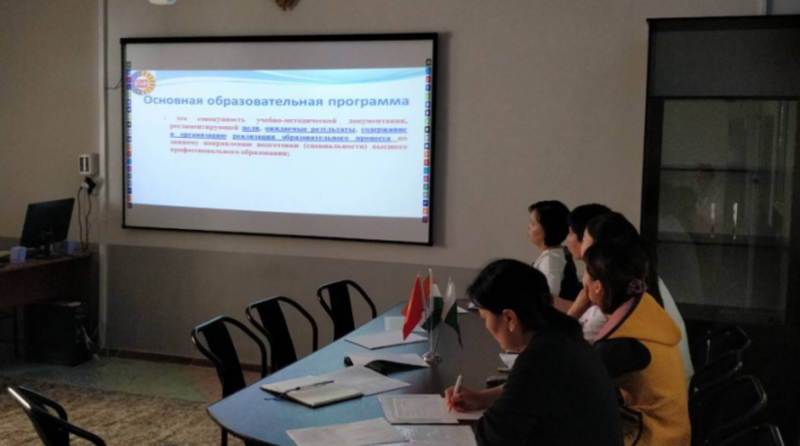 The working group of International Medical Faculty Osh State University on the development of the academic plan in the specialty “General Medicine” – 560001 in conjunction with the head of the OOP of the medical faculty of the Osh State University, candidate of medical sciences, associate professor Sakibaev K. Sh. Discussed the issues of the program, as well as the basic regulatory documents for the 2018-2019 academic year . Competition among the 4th year students on the subject of "facultative surgery" on the topic "surgical diseases"